Part 2 looks at presentations by Fluence and NREL, which outline the market opportunities present both today and in the future. This article is the second part of a 2-article series on the growing role of energy storage as illustrated by presentations at a recent EIA conference. See yesterday’s part 1. Kiran Kumaraswamy of Fluence Energy –Grid-Scale Energy Storage—Market Applications Outlook (PDF) showed off the business application side of energy storage today. Namely, the presentation looked at how a leading supplier of solutions must learn to bend and twist as the markets dictate needs. 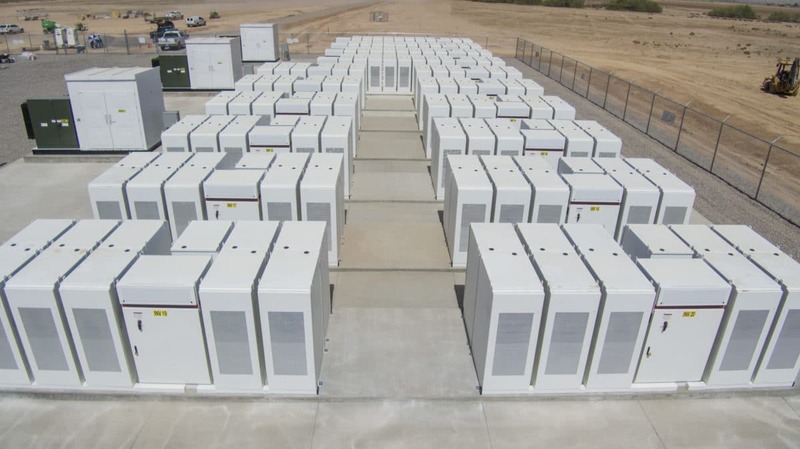 Incidentally, Fluence was part of the team that delivered a 30 MW/ 120 MWh lithium-ion energy storage power plant, in a grid emergency situation, within six months, on a 1 acre parcel where a fossil fuel power plant couldn’t be permitted. Kumaraswamy’s presentation echoed others noting that different marketplaces had different product demands and that it was important to have a unique perspective in each utility marketplace. Reminders of the fact that solar power exists in nearly 50 unique state marketplaces, and that in order to work with various groups you have to “depict the value of storage to their network”. The above slide was preceded by real life examples of economic arguments to two western U.S. utilities. These two slides very much complemented the language put forth by Abdelrazek of Duke Energy (covered yesterday), who spoke of developing a tool that would guide his teams in determining where energy storage could most economically be deployed within the grid. One might assume we are in the economically low-hanging fruit portion of the energy storage evolution. The technical capability of an energy storage plant, showed off below by Kumaraswamy, underlies the risk to the gas peaker plant market. A 100 MW energy storage facility has the ability to offer four times as much energy services within the same 100 MW nameplate. Remember – GE is laying off members of these highly skilled and talented teams. pv magazine has repeatedly reported on this shift (1 2 3 4 5). And speaking of this shift – Paul Denholm of NREL – Energy Storage: What’s the Next Big Thing? (PDF) has been modeling energy storage for quite a few years now, and his infectious energy showed when he said it excited him to say that we are now deploying what he’d seen only in NREL labs in his past years. And with those models now clearly under way in the real world, Paul is again looking at tomorrow. Quick and dirty answer: it is big. The harder answer is that it is probably going to be a more complex equation as solar and wind power scales, but irrelevant of whether its a smooth daytime 8-hour load or a complex and choppy 24/7 profile across various power grid regions, it is going to be tens of gigawatt-hours (GWh) type of big with today’s renewable penetrations, and as we continue to add in solar power, it is going to be hundreds of GWh big. This transition is going to be driven in part by the old age of the gas peaker fleet. And old age will be replaced with a newer, younger, faster, cleaner and cheaper technology that’s coming on the scene. The above chart sees the green line as being where energy storage costs per kWh will be in 2020. The red lines notes easy to replace capacity while the blue line notes projects that are more profitable – and right now, we’re signing contracts for projects delivered in and after 2020. That means this chart represents ‘today’ to power grid planners, and energy storage is right in the midst of it. And the market is diverse, with opportunities across all regions of the country. Denholm noted many caveats, as there is much evolution that needs to come in terms of market structure (as noted by every one of the professionals in the field today in prior presentations), as well further price drops in energy storage. However, the momentum is clear. As the presenters showed us, these changes are happening on the grid today.